Bonjour tout le monde….je suis de retour!! I am sat at my PC in the UK, the sky is covered with clouds, the washing basket is overflowing with all the summer clothes that need ironing, Charlie is flat out on the sofa, snoring and I am feeling very, very flat!! What a wonderful holiday we had! I wish I could say that I’m one of those people who says, “Ooh, it is good to be home!” but I’m not…I don’t want to be here! 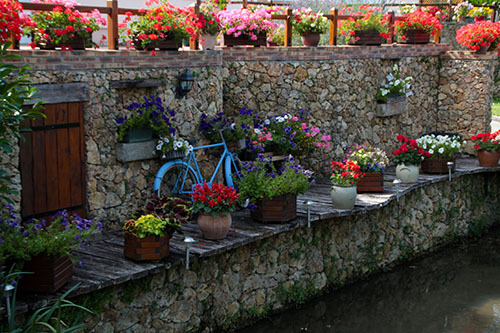 I would ideally like to live full time on holiday…wouldn’t we all? However, I do feel better for having downloaded my photos and having a quick look at them, bringing back some sunny and happy memories. This one in particular made me smile, I spotted this from the car and made my sister do a detour to come back for me to take a photo….she was parked rather precariously on a grass verge on a sharp bend so I had to snap it quick…to avoid any accidents! I laughed so much during the last two weeks, my sister, although she isn’t aware, is very, very funny! She has a knack of saying funny things normally at the wrong time and I’m a giggler as is she, so inevitably when we get together, there is a lot of silliness….I love it!! 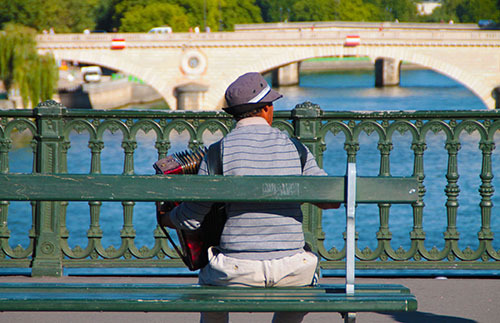 The vast majority of French people take their summer holidays in August and Paris is virtually empty. Trust me, it’s still what I would regard as busy but at least you don’t get hustled and bumped into at every corner. 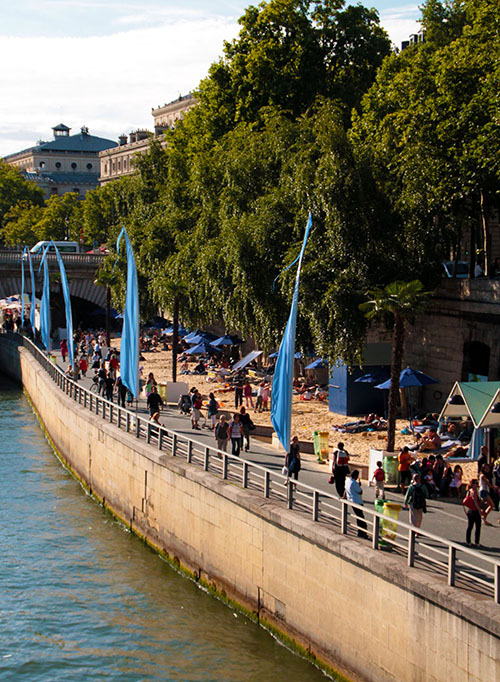 The authorities have considered the unfortunate Parisians that don’t manage to get away and provide them with a beach by the Seine, slap bang in the middle of the city!! 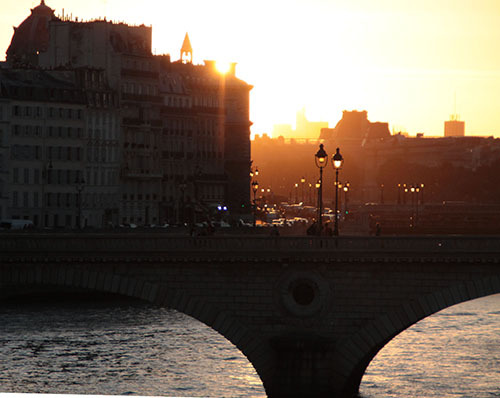 Paris Plage, how fantastic is that? And how cool is this? 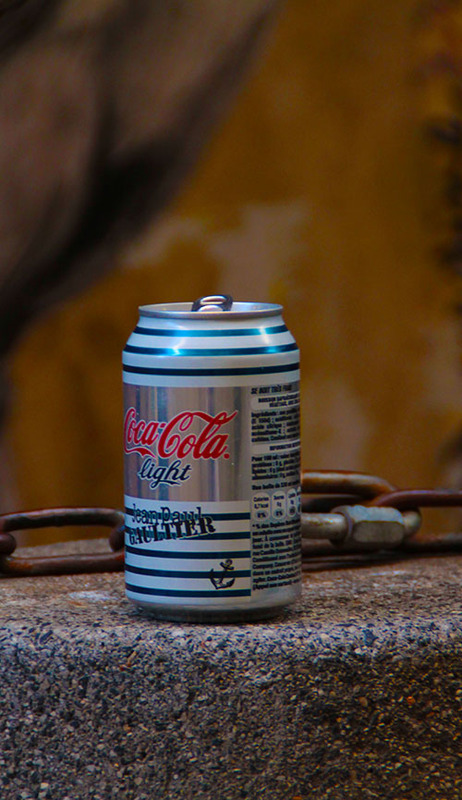 Coca Cola designed by none other than Jean Paul Gautier!! Classy lot the French you know!! 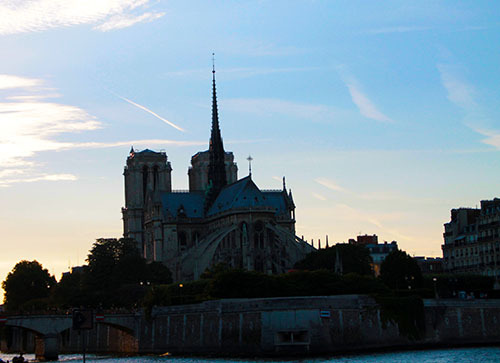 We sat for ages on the banks of the Seine, waiting for the sun to set, here the Notre Dame was just fabulous, it was a great experience and cost nothing at all, although we did buy some ice creams!! In fact this day in Paris cost us ice creams and a sandwich so please don’t believe everyone who says Paris is expensive, it really doesn’t have to be! Obviously, if you go shopping in Dior and the likes, well it’s gonna cost, but if you enjoy beauty, Paris has fistfuls and it’s all free! 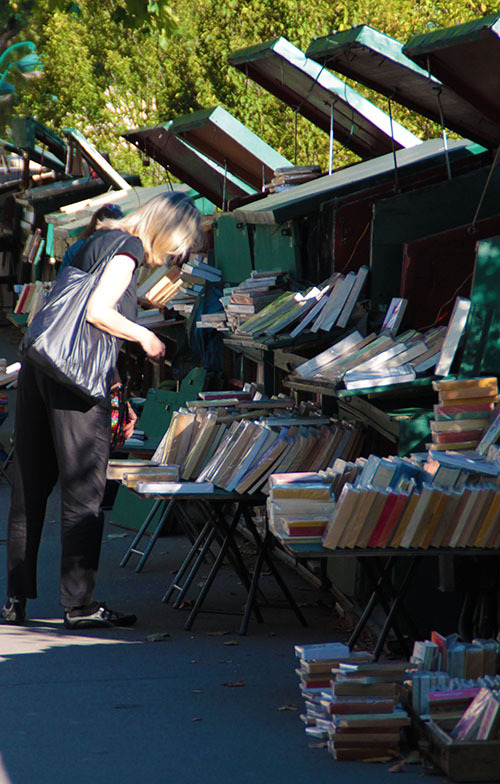 I know this is a typical Parisian scene, that we see over and over again, it just amazes me that in this day and age with all the shops, internet and amazon etc that people still manage to make a living selling second-hand books!! 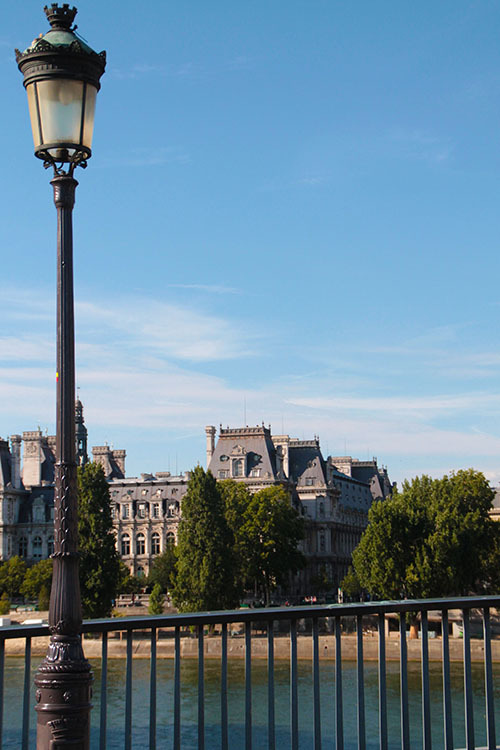 As we were crossing a bridge, I was waxing lyrical about how fantastic Paris was on a sunny day, blah, blah, blah, it was so idyllic, in the distance I could almost hear the accordion playing a typically French tune, it’s great having an active imagination, you know. Ah no!! that’s not it at all we walked on a few hundred metres and….there he was…How perfect is that? Ah I feel so much better now, although it is now raining here…good job I got the washing in eh? Tomorrow, hopefully, more photos……. I would like to thank everyone who left comments while I was away, I’m sorry I couldn’t update my blog as well as I would’ve liked but it was really tough getting a wi-fi connection and of course I was very, very busy!! It was absolutely wonderful, I wish I could have more than one summer holiday a year though!! I am the same when we go on trips to the beach. I am never ready to leave. I have been reading and enjoyed your posts but waited until you were back to comment. I have truly enjoyed “traveling with you” as it were! Thank you, I’m glad you’re enjoying it….more photos to come over the next couple of days!! Thank you…I’m so glad you enjoyed the photos, I have such fun taking them and it’s always lovely when someone else gets pleasure from them. It’s not hard taking good pictures in France! !